From its inception, His Mansion has chosen to trust God to provide for our financial needs. We do not accept state or federal monies, or charge anyone for help, yet we have witnessed God faithfully meet our needs for over forty years. His Mansion is a non-profit 501(c)(3). Our tax ID is 02-0350805. We trust God to lead those who believe we are good stewards to financially support our ministry. For over forty years now we have been able to praise God that all our bills have been paid. This doesn’t mean we are without accountability. His Mansion was one of the earliest members of the Evangelical Counsel on Financial Accountability. 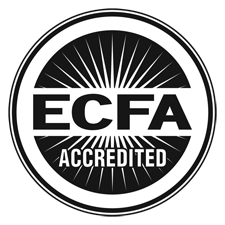 The ECFA is an accreditation agency dedicated to helping Christian ministries earn the public’s trust through adherence to Seven Standards of Responsible Stewardship. Our annual financial statement and audit are available upon request. His Mansion accepts donations through PayPal, electronic funds transfers, and checks. To give a one time donation to His Mansion Ministries through PayPal use the ‘Donate’ button on the right side of your screen. Click here to download the EFT form. Amazon will donate 0.5% of the price of your eligible AmazonSmile purchases to His Mansion Ministries, Inc. whenever you shop on AmazonSmile. AmazonSmile is the same Amazon you know–same products, same prices, same service. Support His Mansion Ministries by starting your shopping at smile.amazon.com.